Charge is actively seeking motivated, qualified run coaches with a desire to accelerate their coaching and teaching abilities to the next level! Learn to coach from a different perspective - virtually! Apply Today for a career in a new fitness space! Rory was born and raised in Chicago before joining the US military. He has spent his career working around the world, and living on both coasts. From surfing in Hawaii to rock climbing in Colorado, his experience with fitness expands well beyond the standard "Globo-Gym". Rory currently holds a Group Fitness Instructor certification and loves helping others to achieve their goals, while pushing them to their limits. Julie has a fun personality that will keep you moving, but combines it with a "tough love" attitude that is sure to make you sweat! Julie has a love for helping others reach their goals, as well as a competitive spirit that pushes people beyond their limits. She has a bachelor’s degree in Kinesiology from the University of Illinois at Chicago, as well as a Group Fitness Instructor certification. Casey was raised in the mountains of Vermont and has spent most of his life outside and active. 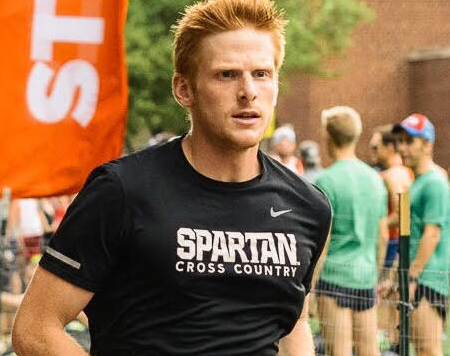 A focus on running competitively beginning in high school led him to a successful NCAA career, multiple sub-4:30 miles, and later a coaching career at the youth, high school, and collegiate levels. With certifications from the USA Track & Field association and 10+ years of running experience, Casey loves helping runners reach their true potential through a love of the sport and consistent coaching support. As a midwest native living in Atlanta, Betsy found her love of running early, forming into a fundamental part of her life for more than 30 years. She is an energetic mom of 3, an RRCA Running Coach and races competitively at distances from 5k-50k. She is devoted to sharing her love of the sport by helping athletes develop their unique physical strength and mental resolve. Dana is an Ohio native and a mother of three who has been running competitively for more than 26 years. Also a RRCA and USA Track & Field Certified Running Coach, Dana joined Charge because of her love of running and passion for coaching athletes. Dana strives to challenge runners of all abilities to reach new personal bests. Larry developed a passion for running at an early age and was an all state athlete in cross country and track in high school. He graduated from Harding University where he ran competitively and got his bachelors degree in Kinesiology. Since graduating, Larry has gotten his personal training certification and became a USA Track and Field certified coach. Larry is passionate about helping others develop a love for running, along with helping people reach their fitness related goals. Michelle began competing in marathons shortly after falling in love with running during college. While she has a continually expanding list of completed marathons, she also has an ever growing passion for training and inspiring other runners. As an RRCA certified distance running coach, Michelle is consistently driven to help others reach their goals. Interested in becoming a trainer? apply today!